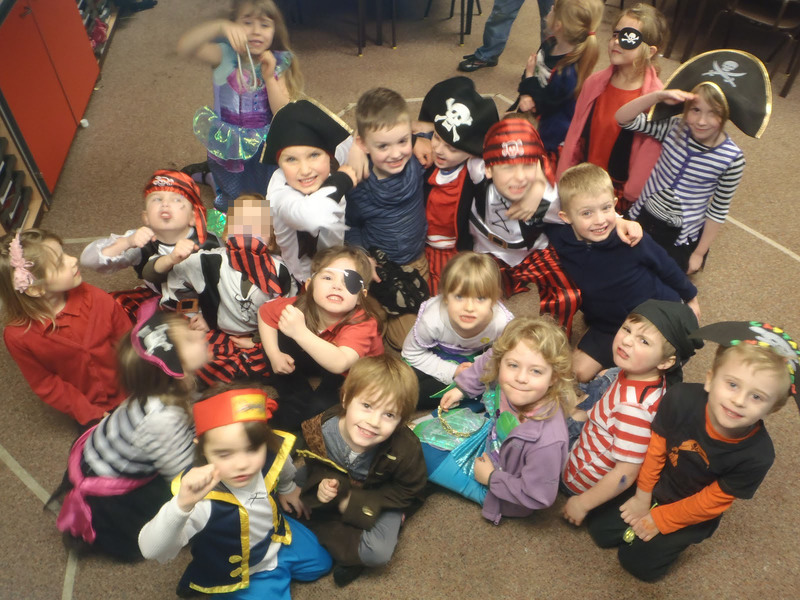 Our new topic is called Pirates and Mermaids. We are learning all about map making, life processes and sea animals, and we'll be doing some great arts and crafts. We started the topic with a dressing up day and did lots of art work. Even Mr Littlewood dressed up! We are going to The Deep on Wednesday so maybe we will find out then. On Tuesday we made treasure maps. Mr Littlewood gave us each a chocolate coin and we had to go and hide it on the field or in the yard. We had to pretend we were a bird looking down from the sky and draw all the features of the field and yard. We drew the trim trail, willow arch, the throne, the outside classroom, climbing wall and much more. After we had hidden our coins we had to write instructions on the back of the map using the "first, next, then, finally structure" and use lots of positional language like 'left', 'right', 'behind', 'under' and 'above'. Searching for our partner's treasure. Trying to solve the clues. WOW! You guys all looked amazing. You are very clever to make maps. Did you all find the treasure?